Xerox VersaLink B615 is a black and white multifunction printer ideal for medium to large workplaces with high volume requirements. 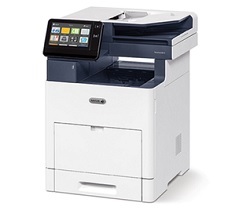 The machine offers the function of copying, scanning and sending faxes as standard, B615 also offers direct printing from mobile devices and cloud connectivity. Equipped with a stunning seven-inch touchscreen provides a simple yet attractive way to operate the machine with extra large icons and tablet-like layouts. Download the Xerox VersaLink B615 driver according to the Operating System on your PC or laptop at the link below.